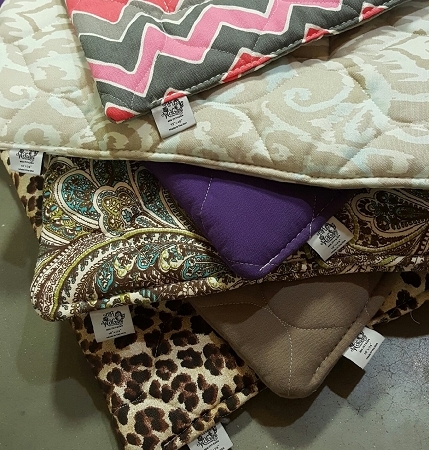 These mats are wonderful for tossing around the kennel, house, car, etc. 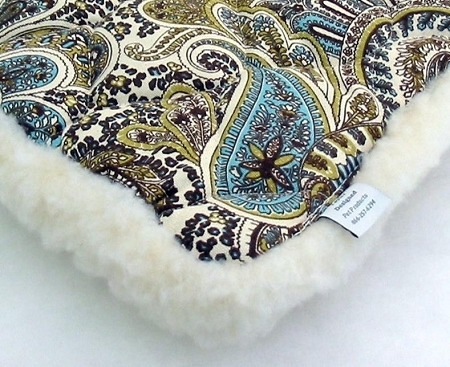 They are made with the same wonderful quilted designer fabrics. Top Stitched together. These mats have nothing inside, so again no bunching or lumping. Totally machine washable and dryable.